We operate from a 40,000 square foot facility in High Point, NC, where we handle many different types of paper, plastic and aluminum materials in the triad area. We accept materials from commercial accounts, waste haulers and county recycling centers and have the flexibility and capability to meet our customers’ needs. In addition to the many services we offer, we also have a confidential document destruction service, Confidential Shredding. With the increased risks of identity theft and divulgence of confidential information, we provide complete records destruction for any office that has sensitive information. 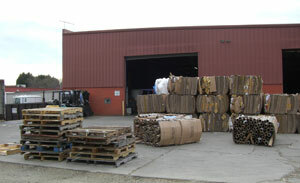 Once records are shredded, we provide a certificate of destruction for all material destroyed.